It is easy to feel cold in Amsterdam, but it is also very easy to feel like at home there. All the streets and canals full of stores with warm interiors show it in every step you take. The choice of materials, pieces of furniture and natural details give the city a sensitive atmosphere full of 2.5 spaces. Sociologists define these 2.5 spaces as the ones in which a function is developed and, at the same time, as a place where you feel like at home, surrounded by a warm and cozy atmosphere. A growing trend that demonstrates the importance of the intangibles and the feelings of the users involved in the shopping experience. As a significant example in Amsterdam, we can outline the case of Starbucks. The coffee company opened its first concept store in an old safe deposit of the Amsterdamsche Bank in 2012. In its 400 square meters we can feel an extreme comfort atmosphere powered by the “slow coffee” concept: instead of the common 25 seconds that takes to make a coffee, in here they spend between 3 and 5 minutes to stand out the freshness and intensity of the flavour. The concept of “slow coffee” was born in 1941 and it was the ancient way of making coffee. The same method presented in the XXI century and under the “Starbucks Reserve” brand category turns into a unique brand experience in a special, friendly and comfortable scenario, in a “hyggelig” place, as the Danes would say. The interior design is worth seeing: environment-conscious design in every detail, warm materials, Dutch Culture references and a deep respect for the architecture emphasize the kindness of the place. The ceiling displays a large installation of over 1800 hand-cut wooden cubes, that will leave no visitor unmoved. All these elements together with a trained team in a full dress uniform in order to transmit the brand values, show us once more that brands do not only sell products or services, but lifestyles and we, as users, buy the lifestyles we feel identified with. Starbucks not only offers coffee, it offers a way of having coffee. En Ámsterdam es fácil pasar frío, pero también es muy fácil sentirse como en casa. Sus calles y canales salpicados de locales con interiores acogedores que te atrapan lo demuestran a cada paso. La elección de los materiales, piezas de mobiliario y detalles naturales hacen que Ámsterdam se muestre como una ciudad con un retail sensible y con predominio de espacios 2.5. Los sociólogos catalogan los espacios 2.5 como aquellos espacios en los que se desarrolla una función y, a su vez, te hacen sentir como en casa con la máxima de transmitir una atmósfera hogareña y cálida. Una tendencia cada vez más visible que demuestra la importancia de las sensaciones de los usuarios y de los intangibles involucrados en la experiencia de compra. Como gran ejemplo en Ámsterdam podemos destacar Starbucks. La compañía de café abrió su primera concept store en una antigua cámara acorazada del Amsterdamsche Bank en 2012. Sus más de 400m2 respiran una atmósfera de confort extrema potenciada por el concepto “slow coffee”: en vez de los 25 segundos que se tarda normalmente en hacer café, aquí se toman entre 3 y 5 minutos para aumentar la frescura e intensidad del sabor. Este concepto se inventó en 1941 y es la antigua manera de hacer café, pero contextualizada en el S.XXI y teatralizada bajo la categoría “Starbucks Reserve” consigue convertirse en una experiencia de marca única en un marco singular, agradable y cómodo o, como los daneses dirían: un lugar “hyggelig”. El interiorismo no tiene desperdicio: detalles con conciencia, materiales cálidos, referencias a la cultura holandesa y un profundo respeto por la arquitectura acentúan la amabilidad del escenario. El local está coronado por una gran instalación de más de 1800 cubos de madera ubicados en el techo y cortados manualmente que no dejan indiferente a nadie. Todos estos elementos sumados a un equipo formado y uniformado para trasmitir estos valores nos demuestran una vez más que las marcas lo que venden no son productos o servicios, las marcas lo que venden son estilos de vida y los usuarios compramos aquellos con los que nos sentimos identificados. Starbucks no sólo nos ofrece café, nos ofrece un estilo de tomar café. For a better understanding and to complete all those elements linked to the brand experience that influence the buying process, we will count with the collaboration of experts that will introduce concepts that will improve our business development, from different disciplines and points of view. Today we are pleased to introduce a text of Laurence Maillotte, Sales Assistant Big Accounts. L’être humain est doté de 5 sens: la vue, l’ouïe, le toucher, le goût et l’odorat. Ces sens sont utilisés par notre inconscient au quotidien et dans ce cas précis, nous les utilisons lors de nos rendez-vous shopping. En effet, c’est grâce à eux que l’on saura déterminé si on aime ou pas, un magasin . Au-delà de l’enseigne, on aimera une odeur, une façon dont sont animés les produits et mis en situation sur les espaces de vente. On appréciera de pouvoir toucher la matière d’un cuir travaillé, ou d’une soie délicate. On s’imaginera même dedans… comme dans un rêve. Vous transporter dans ce rêve est mon métier: je suis commerciale Grands Comptes et la mission que je souhaite développer avec vous aujourd’hui est le merchandising. Lors de ma dernière installation dans un grand magasin de mode français à Paris, j’ai entendu deux clientes se dire: «oh, tu as vu, les couleurs sont jolies. Cela donne envie d’acheter». J’ai su que mon travail était réussi. Le merchandising est une technique de vente: nous allons optimiser les magasins afin de créer des espaces propices à l’achat dans lesquels chacun se retrouvera. Ce sont des ambiances, des mises en avant, des rayons travaillés dans le but de transmettre l’envie d’achat au client. Ici, la zone mise à ma disposition était d’une vingtaine de mètres carrés, dans le passage client entre l’univers de la chaussure et celui du sous-vêtement. Le produit vendu était de la chaussette principalement, quoi de mieux pour l’accessoire le plus en vogue de ces temps? La zone éphémère avait lieu pendant la période de Noël. Il a fallu choisir des présentoirs sobres pour les muraux. Ensuite, et dans le but d’attirer le client vers le rayon, nous avons installé un présentoir en forme de sapin et un autre en forme de boîte cadeaux. Le client identifiait alors son besoin directement au temps de Noël. Par l’esprit cadeau, ce n’est pas un mais plusieurs articles qu’il allait acheter. Nous avons choisi un assortiment de produits avec de la chaussette mais aussi du sous-vêtement puis des coffrets. Le client avait le choix et à plusieurs prix possibles. Il faut respecter un code couleur. Le client va être attiré par le produit qu’il a au niveau de ses yeux, on joue alors avec des couleurs flashy et très tendances. Il arrivera sur la zone chaude où sera concentré l’univers de notre marque et grâce à la répartition de la marchandise, il se sentira dans sa bulle. Il choisira alors le produit au niveau de ses mains: le produit à fort pouvoir d’achat, aux couleurs commerciales et faciles à porter. Ma mission est de jouer tout en accordant ensemble des produits de tailles, de couleurs et de formes différentes afin de créer, selon les tendances actuelles du marché de la mode, un univers dans lequel le client pourra identifier son besoin et satisfaire ses envies, ce qui fera progresser le chiffre d’affaires. Alors, prêts pour une nouvelle partie? The human being has 5 senses: the sight, the hearing, the touch, the taste and the smell. These senses are used by our unconscious every day and we often use them during our shopping decisions. Indeed, it’s thanks to them that we will determine whether we like a store or not. 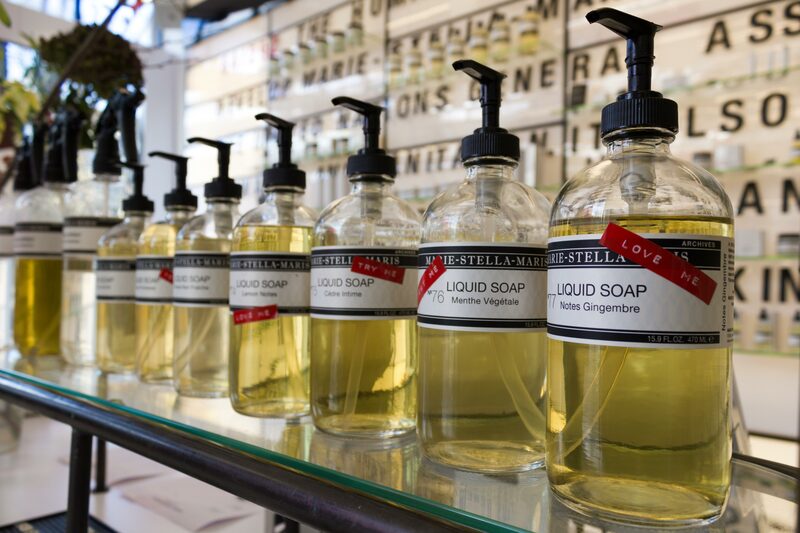 Beyond a sign, we will like a scent or how a product is set and displayed on sales areas. As consumers, we will very much appreciate the fact of touching a piece of handmade leather or delicate silk. We will think of us with it… like in a dream. And to take you to this dream is my job. I work as big accounts executive and today I would like to share with you all my vision about merchandising. During one of my last experiences in a big department store in Paris, I heard two customers saying: “Oh, have you seen how pretty those colors are? It makes you feel like buying some.” And then, I knew my work had been successful. Merchandising is a sales technique to optimize retail stores in order to create spaces that promote purchasing. 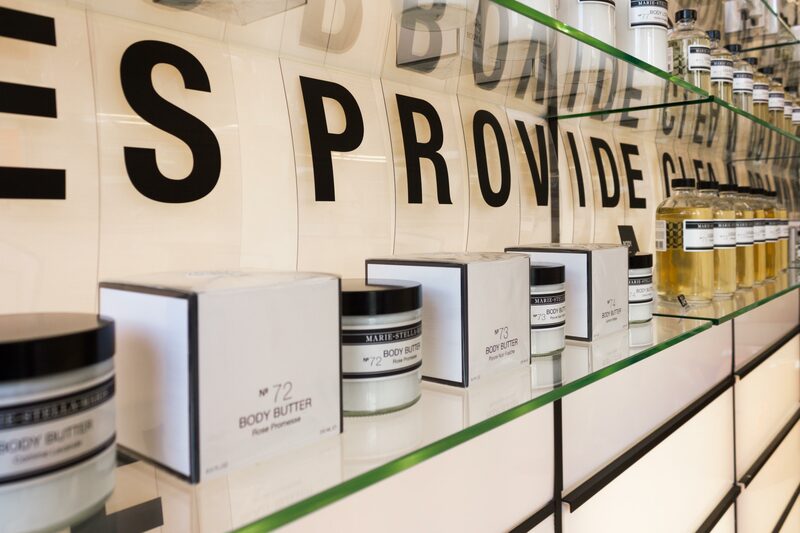 Such techniques are, among others, the atmosphere, the product highlight or shelves displayed to evoke desire on the customer. In such experience, the area was about twenty square meters, near the central aisle between the shoes department and the underwear section. Our product was mainly socks, so what a better location for the most fashionable accessory of these times? 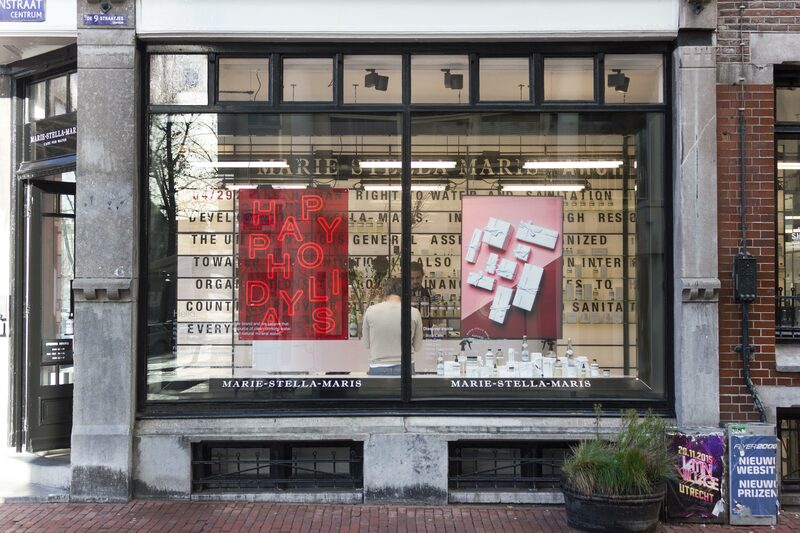 I worked on a Christmas campaign so, first of all, I chose sober wall displays. Secondly, and in order to attract customers, we installed a big Christmas tree and a gift box. Because of the Christmas spirit, the client felt the need of buying more than one article, not for oneself, but for the whole family. We chose an assortment of products with fancy socks, like happy underwear and gift boxes. We pushed people to go for our choice and, indeed, they picked the easiest gift, the gift box, what led us to an increase in sales. This is strategy. We have to respect a color code. Customers will be attracted to items and in order to get such attraction, we need to play with flashy and trendy colors. The client will then pick a product at the level of the hands: a product with high purchasing power, with attracting colors and easy to wear. Once again, we push the customer to impulse purchasing. My mission is to mix and match all product sizes, colors and shapes to create, according to current trends in the fashion industry, a universe in which anyone can identify their needs and satisfy their cravings, so that sales increase. 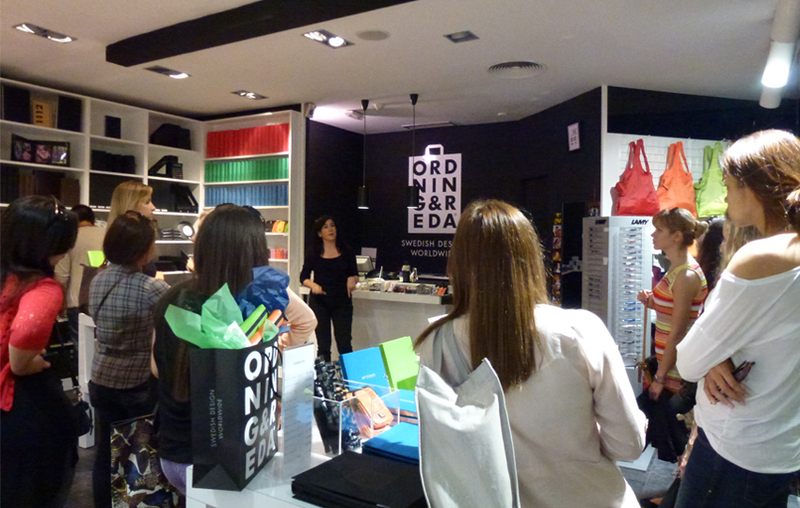 The brandcelona® retail tours combine the theory and the practice of Business Design, analyzing each of the most important aspects of the corporative identity strategy. The branding, packaging, retail and product design and corporative positioning is analyzed to suggest new ideas and solutions to adapt the corporative universe to the user. We want to be your preferred brand managers! And for that, we offer a different trip in which you’ll be able to explore various successful spaces of the cities around the world that you choose. At the same time, we will provide the analysis tools and the vision that will help in the implementation and execution of these concepts in your business in order to look to the future together. Consumption trends are moving increasingly toward sustainable practices that make the user become consumer and highlight products with added services to seek for a faithful, durable and shared relationship with the target audience. In this line, we introduce a new consulting service to bet for a new business model in which sustainability (economic, social and environmental) is transversal and understood by all the stakeholders. And all this must be tangible in your business to help satisfying both users: the eco-sensitives as well as those who still are not so, explaining the benefits of these changes. Shared sustainability is innovation and adapts to the vision of a new market model. Grow your business sustainably! The user experience is our main focus, because making the user feel comfortable and satisfied is our aim and also we encourage to spread it to all those trade professionals. We design and understand emotional gears of users and market trends. 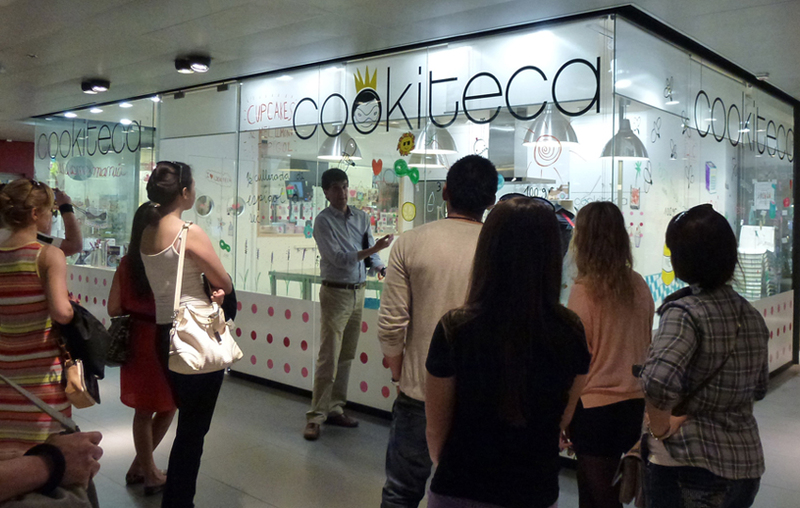 Our retail tours leverage our knowledge and experience in different sectors as professionals in developing projects of 360º corporative identity, to highlight successful solutions and proposals providing the key tools and how to apply them effectively in your retail or business. Learning how to create the best spaces and feel it firsthand, will help you to inspire your business vision. Want to know more? Fill out our form and we will offer a custom solution to the needs of your retail or business. 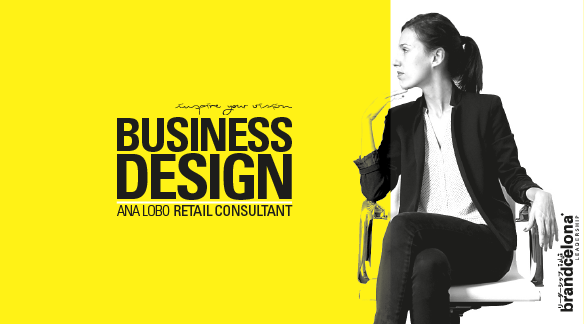 Los retail tours de brandcelona® unen la teoría y la práctica del Diseño de Negocios, analizando cada uno de los aspectos más importantes de la estrategia en identidad corporativa. 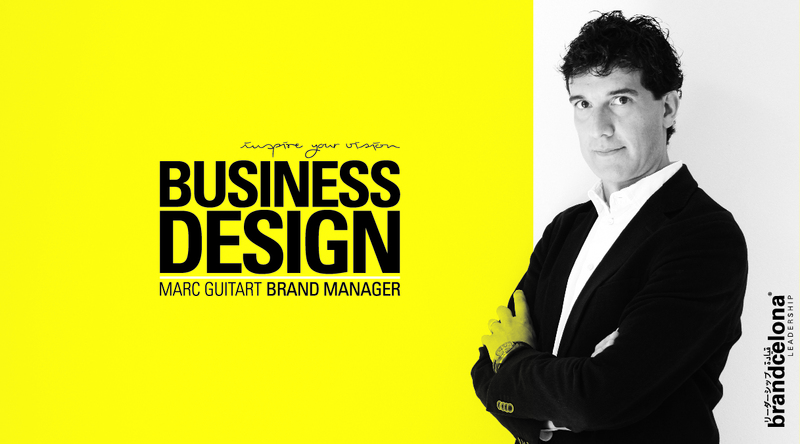 El branding, el packaging, el diseño del comercio, de producto y el posicionamiento corporativo se analizan y proponen nuevas fórmulas para inspirar nuevas ideas y soluciones que se adapten al universo corporativo y al usuario. ¡Queremos ser tus brand managers preferidos! Y para ello, te ofrecemos un viaje diferente en el que explorar espacios de éxito de las ciudades del mundo que prefieras. A la vez, te proporcionaremos las herramientas de análisis y la visión que ayudará a aplicar y ejecutar tales conceptos en tu negocio con el fin de mirar juntos hacia el futuro. Las tendencias de consumo se mueven cada vez más hacia prácticas sostenibles que hacen que el consumidor pase a ser usuario y los productos se acompañan de servicios con tal de procurar una relación fiel, duradera y compartida con el público objetivo. En esta línea, introducimos un nuevo servicio de consultoría en el que queremos apostar por un nuevo modelo de negocio en el que la sostenibilidad (económica, social y medioambiental) sea transversal y entendida por todos los agentes implicados. Y todo ello debe ser tangible en tu negocio y ayudar tanto a satisfacer a los usuarios ya sensibilizados, así como ayudar a comprender los beneficios de este cambio a los que aún no lo están. La sostenibilidad compartida es innovación y se adapta a la visión de un nuevo modelo de mercado. ¡Haz crecer tu negocio sosteniblemente! La experiencia del usuario es nuestro principal foco, pues hacer que éste se sienta cómodo y satisfecho es nuestra máxima y animamos a que también sea la de todos los profesionales del comercio. Somos diseñadores y entendemos los engranajes emocionales de los usuarios y las tendencias de mercado. Nuestros retail tours aprovechan todo nuestro conocimiento y experiencia en diferentes sectores como profesionales en proyectos de identidad corporativa 360º, para destacar soluciones y propuestas de éxito y dar las herramientas y claves para aplicarlas eficazmente en tu comercio o empresa. ¿Quieres saber más? Rellena nuestro formulario y te ofreceremos una solución adaptada a las necesidades de tu comercio o negocio.